Log shipping is a well-known method for data replication between Exchange servers (and other computers). It made its first appearance in Exchange in the Local Continuous Replication (LCR) and Cluster Continuous Replication (CCR) features of Exchange 2007, added to with Standby Cluster Replication (SCR) in Exchange 2007 SP1, and is used to distribute replicated data within a Database Availability Group (DAG) in Exchange 2010 and Exchange 2010 SP1. The basic arrangement for log shipping is simple: a transaction log file is generated on a source server and is either pulled by the target server (Exchange 2007) or pushed to the servers that contain database copies (Exchange 2010). In either case, it is the Microsoft Exchange Replication Service that is responsible for transferring data. The difference between the two methods is accounted for by the fact that Exchange 2007 only supports a single database copy for LCR, CCR, or SCR while Exchange 2010 supports up to sixteen database copies within a DAG. The problem with depending on files is that losing one can lead to data loss. An Exchange transaction log holds 1MB of data composed of interleaved transactional steps generated by client activity. A single complete transaction, for example the creation of a new mail message, is composed of several steps as the new item is initiated, populated with data, and finally committed. If you lose a transaction log, all of the transactions in the log are obviously unavailable and while the affected items might be relatively unimportant (who will miss yet another auto-reply), they might be ultra-critical, such as a message from the CEO about an important acquisition. It therefore makes sense to minimize the risk of losing any transactional data in whatever way is possible, which is the logic for the introduction of block-mode replication in Exchange 2010 SP1. Shipping complete transaction logs around is referred to as file-mode replication. Exchange 2010 servers always commence replication in this mode. However, from Sp1 onwards, DAG member servers are able to switch into block-mode replication if replication is proceeding smoothly within the DAG and no copy or replay queues are accumulating on the DAG members. Block-mode replication means that the server that holds the active copy of a database will push data to the servers that hold the passive copies of the database as soon as data for a new transaction is written into the log buffer. The log buffer is an in-memory cache that holds current transaction data. After 1MB of data is accumulated, the log buffer is flushed to create a transaction log. Obviously, this process still continues as it’s critical to continue to capture transactions in a way that they can be replayed should servers crash and memory be erased. Switching between modes is automatic and is managed by a component called the log copier that monitors the copy and replay queue lengths as transaction logs are generated. If queues start to build, the log copier will switch back into file-mode replication and remain in that state until conditions ease and the queues clear. How do you know what’s happening on a server? The following PowerShell command interrogates the Windows Performance Monitor counters that are maintained by the MsExchangeRepl process. We can see that a separate counter is maintained for each database on the server plus an overall counter. In this case, we can see that there are four databases (DB1, DB2, DB3, and DB4). The value of each counter is 0 (zero), so we know that this server is currently operating in file-mode replication for each of these databases. A value of 1 (one) indicates block-mode replication is active. Of course, you can also look at these counters through Performance Monitor, but that’s pretty boring as the values don’t change that often. Another method is by using the Get-WMIObject cmdlet. The same data is interrogated. In this example (modified version of code taken from MSDN), we want to report any instance of a database on a specified server (ExServer1) where block-mode replication is currently active. It is possible that you’d never see block-mode replication in action. Running two virtualized Exchange servers on a laptop is an exercise in slow disk I/O and queues form rapidly during heavy activity such as mailbox moves or mailbox imports. The same might be true for stressed mailbox servers. In these circumstances Exchange will play safe and remain in file-mode replication mode. It’s also possible that block-mode replication will be possible to one server and not another, again because one of the server is stressed and copy or replay queues have accumulated there. The point about block-mode replication is that it enables data to be transferred from the active database to its passive copies much faster than if the DAG has to wait for complete transaction logs. In the case of heavily loaded servers that are generating multiple transaction logs every second, the difference might be relatively small in time as measured by humans, but every millisecond counts in a crash. When data is transferred from the active server to a server holding a passive copy, it is stored in the log buffer on the receiving server and becomes part of the transaction stream that will be processed by that server. Another improvement in SP1 is that if a crash occurs during block-mode replication that prevents the contents of a complete transaction log being received, the receiving server is able to close off the incomplete log and use its contents during the activation process to bring the selected database copy to a point that is as close to up-to-date as possible. All in all, this is very nice work and evidence of growing maturity in Exchange high availability technology. 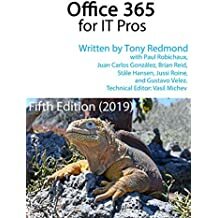 For more information about how things work within a DAG, see chapter 8 of Microsoft Exchange Server 2010 Inside Out , also available at Amazon.co.uk and in a Kindle edition . Other e-book formats for the book are available from the O’Reilly web site. This entry was posted in Exchange, Exchange 2010 and tagged DAG, Database Availability Group, Exchange 2010 SP1. Bookmark the permalink. So does this mean that if a transaction is small i.e a few KB it will imddeiately be sent to the passive copies even though it is much smaller than the buffer or a transaction log? Yes, as soon as a transaction is committed into the log buffer, it is copied to the other servers. Ah… Ok, I see it. Starts @ Page 663. You da man as always! Thanks a Ton Tony. Well write up. High availability is really maturing. I believe there will be time when we don’t think about using ESEUTIL!